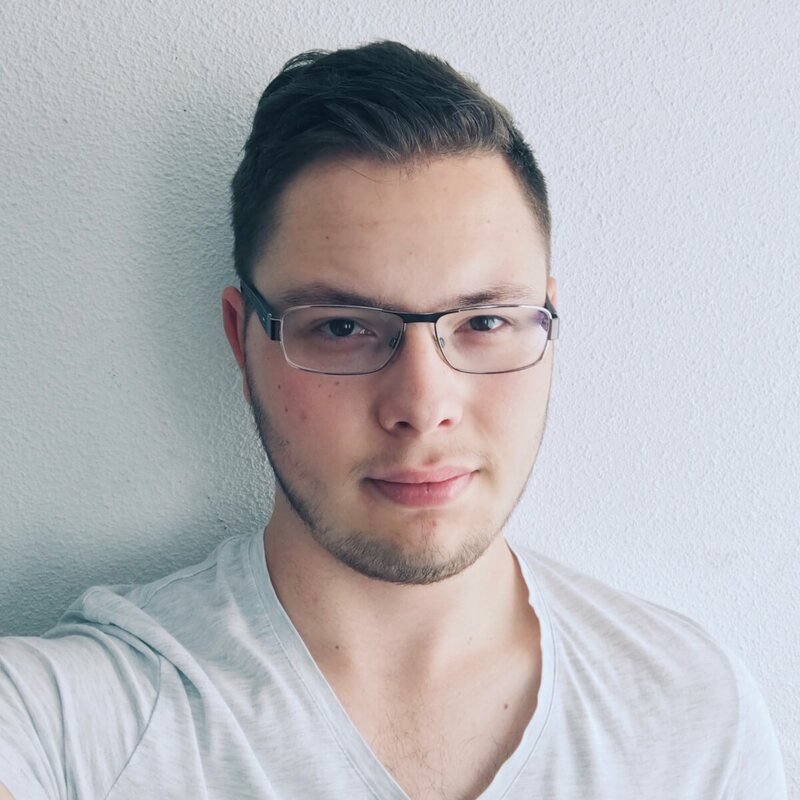 I’m a hobbyist UI/UX designer based in the Netherlands. Although I have considered making my hobby into my profession, I’m now pursuing a career in Psychology. I still do some freelance work in graphic design every now and then, though. I started getting into UI design with Adobe Photoshop at the age of 13, but after switching to Mac OS I found out about SketchApp and never looked back! This text from its official website explains exactly what SketchApp is: a graphics app which owes its existence to the imperfections of the existing graphics app: Adobe’s Photoshop and Illustrator being the major ones. It uses vectors to create images, which means that you can keep upscale and downscale without any loss of quality. Combined with the integrated, native @2x export options, this makes SketchApp the perfect app for iOS or Mac app design which often require both @1x and @2x UI elements since the introduction of devices like the iPhone 4, iPad 3 and MacBook Pro with Retina display. When using SketchApp, it’s obvious that the app doesn’t try to copy the leading applications for graphic design like the GIMP. Instead, it offers an entirely new (yet intuitive) UI with functions that make SketchApp unique. Of course, there’s always room for improvement or optimisation, but I think that’s the case with every app as technology is constantly evolving. Why do I use SketchApp? My first attempts at graphic design were done in Adobe Photoshop. In the beginning (I must’ve been about 13 years old) I basically just designed wallpapers for my mobile phone and computer. By doing so, I got to explore Photoshop’s functions one by one: layers, opacity, gradients, shapes, transparency… I still remember how it took me quite some time to get to understand how the pen tool worked. This was all done on a Windows-based computer, and when I got my first Mac two years later, I didn’t really think twice about it and installed Photoshop. I wasn’t really into the world of graphic design in terms of seeking contact with others who were passionate about it, so I never got to explore the inspiring and exciting world of graphic design until I began to visit forums. Then, about a year and a half ago, I discovered this new app called “Sketch”. It was entirely different from Photoshop because it used something called ‘vectors’, which caused images to never become blurry. Ever since I use SketchApp whenever I can and I only use Photoshop whenever someone else either needs a file in .psd format or provides me with one. It can be said that Adobe has set the golden standard as far as graphic design is concerned; Adobe’s Creative Suite contains apps like Photoshop, Illustrator and Fireworks and they are all used by professionals in the graphic design business on a daily basis. There are some aspects in which these apps either lack functionality or intuitively, though. Photoshop, for example, can be very confusing for beginners and doesn’t always work with vectors. Precision work can be very frustrating due to the pixelated view that is produced by zooming. Illustrator can be just as confusing and, in my opinion, is sometimes limited in its functionality as well. 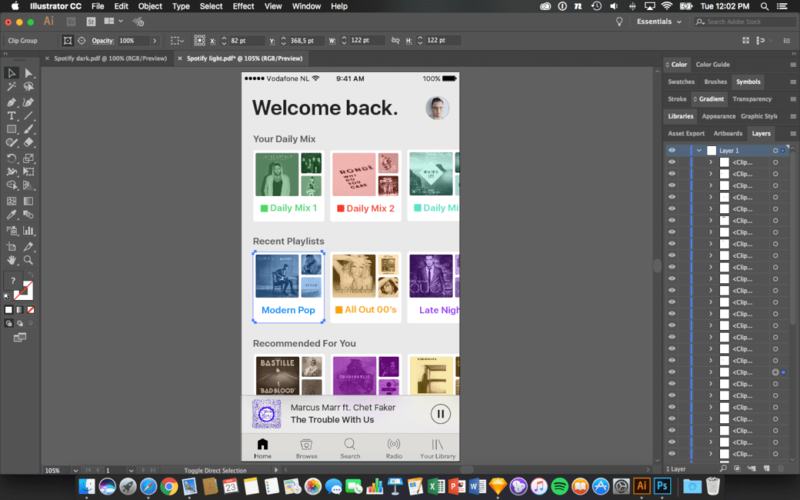 It just lacks certain functions that are present in Photoshop, which makes both apps feel ‘incomplete’, so that SketchApp seems like an combination of both Photoshop and Illustrator. SketchApp is also often compared to Fireworks; I do not have any experience with this application but I found its UI very inconsistent to that of other Creative Suite apps, such as Bridge, Dreamweaver, Photoshop, Premiere Pro and Illustrator. While I feel that some apps in the Adobe Creative Suite should be complementing each other, the inconsistency in UI makes this quite difficult. While SketchApp most definitely isn’t a fully fledged alternative to each of these apps yet, I’m sure that it will be with future updates and additions. After all, SketchApp still is a relatively young app when compared to Photoshop etc. 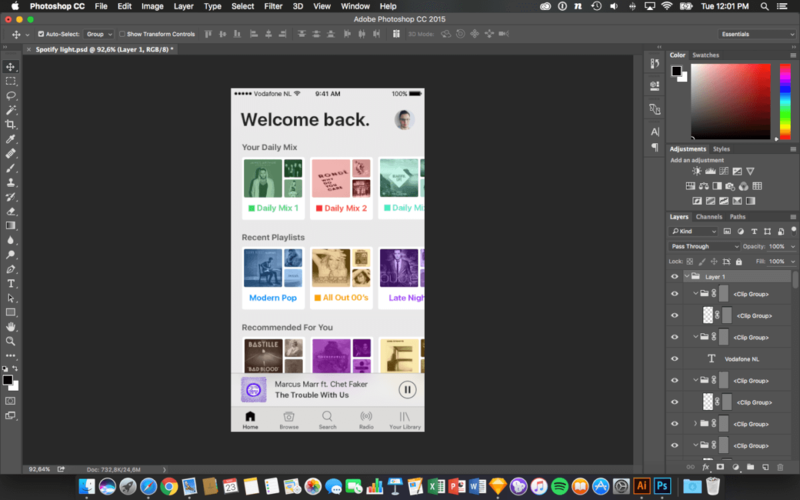 Being an active observer of the Dribbble community, I have noticed that SketchApp has gained a lot of popularity under (professional) graphic designers. In the few years SketchApp exists, it has obtained a fairly large fan base with ‘fan groups’ on various social media like Google+, Twitter, Tumblr and also several websites which revolve around sharing (free) .sketch files, mostly templates. 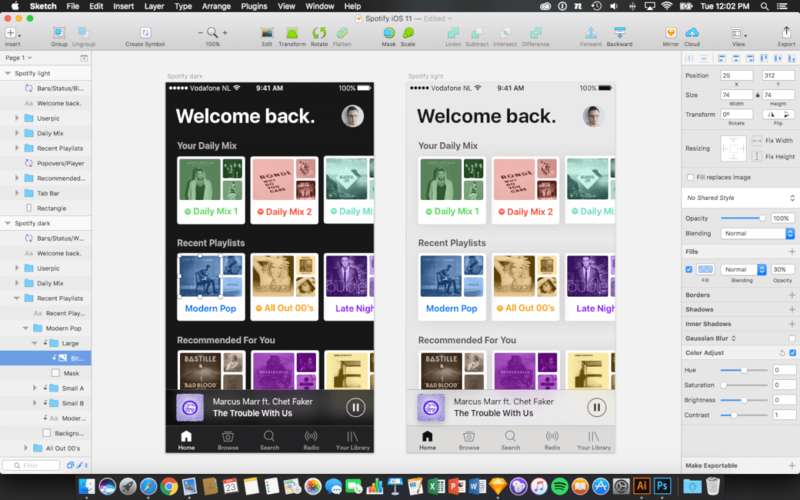 Someone might prefer Pixelmator over Photoshop and SketchApp or vice versa, so whether or not Sketch is an app meant for you is completely personal. If you’re up for something new and prefer using vectors (if you do a lot of rescaling, for example) then you should definitely check SketchApp out!